Hello readers, let me just introduce myself. My name is Luis and I am 29 years old. 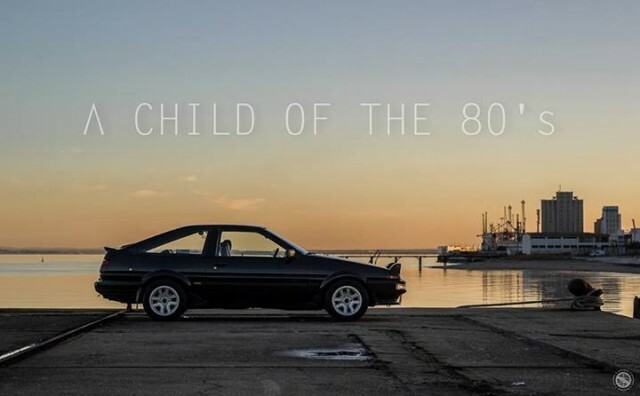 I’m from Portugal and I drive an 86 from 1985. I’ve asked Banpei to start a series of articles related to the main focus of our forums: the AE86. My goal, is to post new information, curiosities about this model, interviews I will make further on and general articles with DIY mods doable on the 86. Hope you enjoy it as much as I enjoy reading about these machines. Ever wonder why the 86 is a legend nowadays where great cars are made everyday? Read this and you will know! Back in 1983 Toyota was producing the first FWD models of the Corolla’s, the CE80, EE80, AE82 and the AE86 appeared to be the last RWD powered chassis. For the record, the “A” represents the engine that came in the car (4A series), “E” represents the Corolla, “8” represents the fifth generation (E80 Series) and “6” represents the variation within this generation. 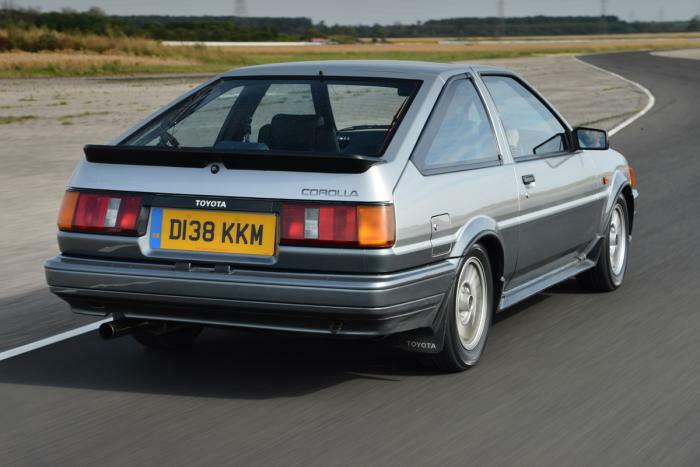 The AE86 had many variants, being sold with a lower spec 1,452 cubic centimetres (1.452 L) AE85and 1587 cc SR5 versions, the most popular ones are the 1.596 L twincam engines sold as Levin (in old English the word for lightning) with fixed lights and Trueno (in Spanish the word for thunder) with retractable headlights. 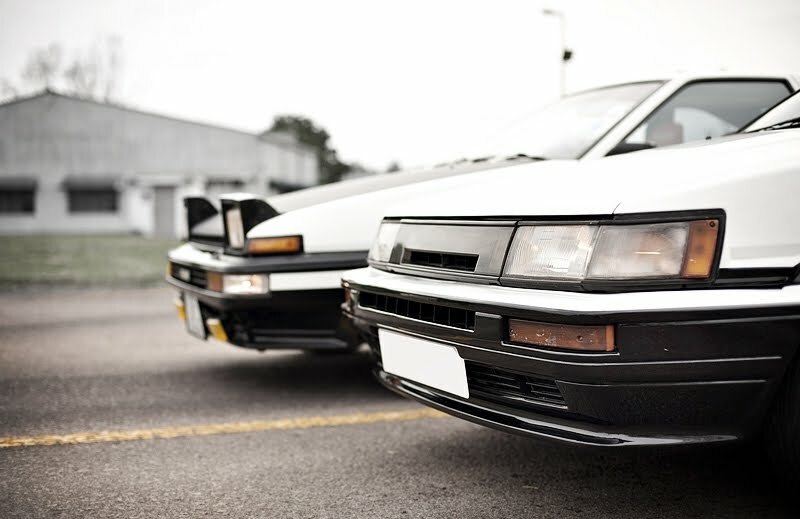 We all know that the AE86 is now almost 30 years old, and is now facing a current resurgence in popularity. Being one of the last small rear wheel drive car still rolling on the used car market, still appearing in popular TV Shows like Initial D, a Japanese cartoon series featuring a kid that learns how to drive and drift the AE86 in the mountains of Japan delivering Tofu and finally, the drift scene that grew up in the last decade. With all of this buzz around the 86, the DIY mods and new designed parts from new companies that appeared all around the world became notorious and in 2014 we still have SamQ from Australia designing new custom parts, Techno Toy Tuning still innovating for the 86 chassis and many other companies still making custom electronic and mechanical parts. Finally, the reason for me buying my AE86 was simple. I was looking for a neo-classic rear wheel drive car, cheap and reliable. Once i got into the 86 world my AE86 started all of his transformations and now I’m building a race spec AE86 to attack the tracks! Welcome to the renewed AEU86 site! LEGO AE86 – Lets make this happen!